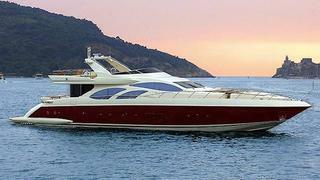 Vangelis Filiadis at Cape4 Yachting sends in news of a €350,000 price cut on the 30.75m motor yacht Erossea. Built by Azimut in 2010, she offers accommodation for up to 10 guests in four staterooms while twin 2000hp MTU engines give her a crusing speed of 29 knots. Lying in Greece, Erossea is down from €4.3 million to €3.95 million.